1. Ilsan Flower Festival is the biggest flower festival in Korea. 2. Great opportunity to enjoy Spring and beautiful flowers in Ilsan. 3. You can walk around the Ilsan HoSu Lake park and leave a romantic memory with your family or loved one! 4. You can visit the sites on the desired day; you don't have to visit all three places in one day! 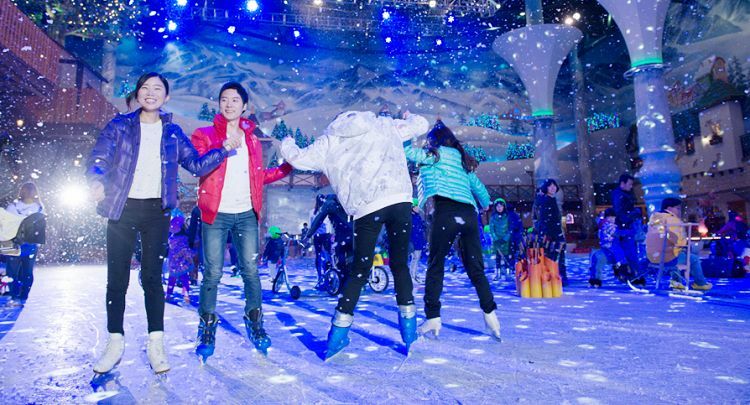 This is a package product of Ilsan Flower Festival, the biggest flower festival in Korea, Aquaplanet Ilsan, and Onemount Snow Park. See and smell beautiful flowers, go visit aquarium and snowpark, and spend your day with fun! 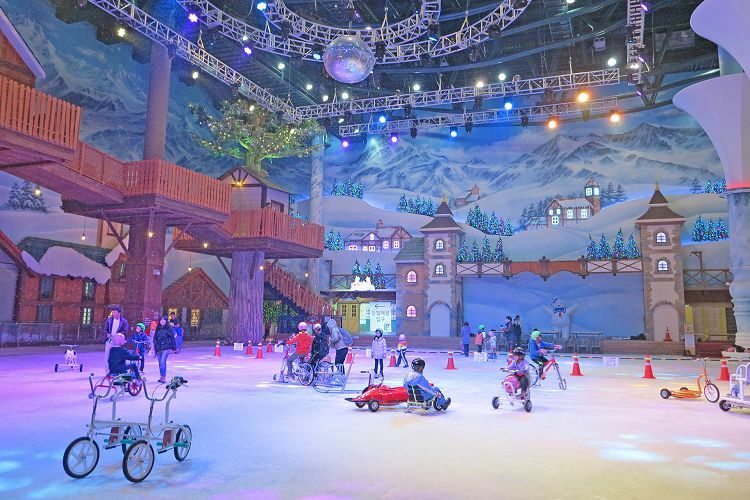 You will find it more interesting to visit Aqua Planet, where both adults and children love a lot; and Onemount Snow Park, where you can ride on skates and snow sleighs. Don't miss out the limited promotions only in spring! • In Aqua Planet, you can touch living animals with you bare hands and enjoy aqua musicals. • You can meet the sea turtles and sand tiger sharks. 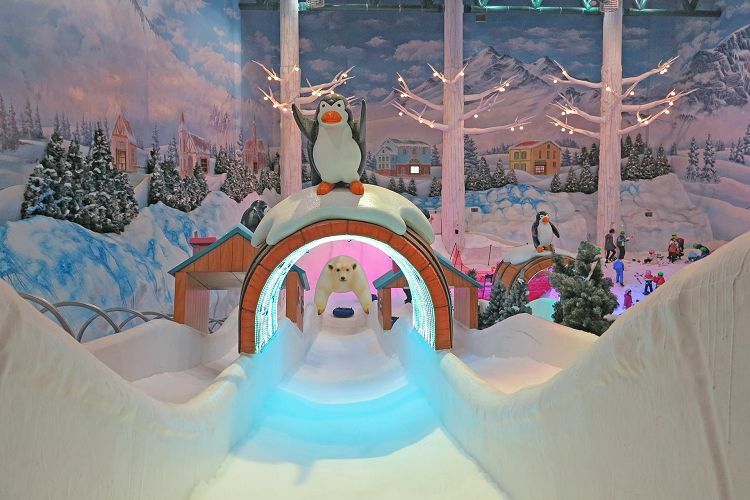 • It is like an indoor ice fairytale village! • A snow park where you can enjoy skates and slides! Goyang International Flower Fair will showcase flowers and plants from 36 countries. Held at the beautiful Ilsan HoSu Lake Park in Goyang-si, the festival offers a great chance to learn about horticulture and see a beautiful arrays of flowers. Many programs are ready: indoor and outdoor flower exhibits, performance and events, photo zones, experiencing programsand flower market, and unique and rare plants exhibition. • You must receive Ilsan International Flower Fair Entrance Ticket at the ticket counter of Aquaplanet Ilsan..
• Present the QR code on voucher at the ticket counter of Aquapalent Ilsan or Onemount Snow Park in order to receive the entrance tickets. • Baby care center, restrooms, and lockers are provided inside the flower fair. • At the information center, there is English-speaking staff, and brochures in English/Chinese/Japanese are provided. • Please prepare warm clothes, gloves, shoes, and a helmet! • Food and matte are prohibited inside the park. • Business hours can be adjusted depending on the season and event conditions. • Re-entry is available due do cold weather or restaurant use. In this case, please inform the staff at the ticket office! • Operating hours and program schedules may change depending on Aqua Planet Ilsan’s internal circumstances. • There may be restrictions in using some zones due to safety check. • Elders and children must be followed by a guidance. Aqua Planet Ilsan will take no responsibility for any kinds of careless accidents.